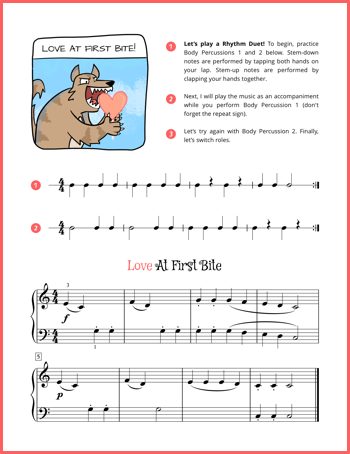 Last week on the blog we shared a Valentine’s Day rhythm activity for the littlest kiddos in your studio. 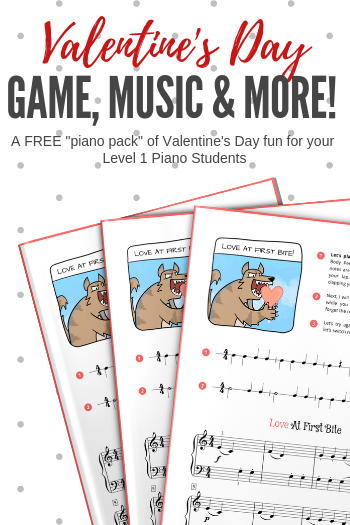 Today we’re moving up a level or two and bringing you a Valentine’s Day Music Pack that can be used with the six to nine year olds in your piano studio. 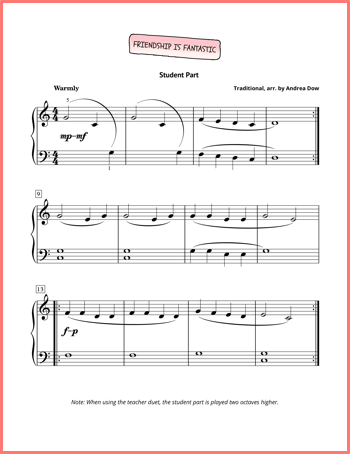 Today’s printable pack is for kids working in a Level 1 method book and includes a beautiful teacher and student duet, a cheerful rhythm piece, and a lovable ear-training game. 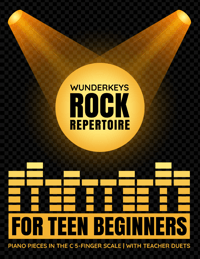 And even if you don’t have kids in the exact age range, younger students will be able to use the ear-training game and older students will enjoy sight-reading the music pieces. 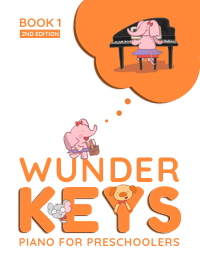 If you are already using WunderKeys Elementary Piano Level 1A then you are going to recognize the lovable characters in today’s piano printables! 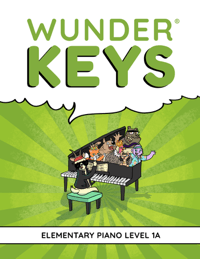 In this activity you and your students will engage in a rockin’ rhythm duet where one of you performs Clap-Tap Body Percussion while the other plays a piano accompaniment. 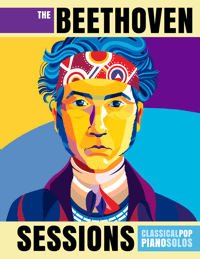 Because you and your students get to switch roles in this exercise, kids will have the chance to both reinforce their knowledge of rhythm through the body percussion exercises as well as practice keeping a steady beat while playing the piano part for their teacher’s percussion performance. In this activity your students will have the opportunity to reinforce their aural recognition of steps and skips. 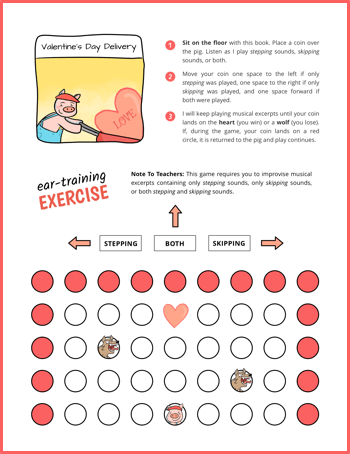 A coin, a piano, and the game board are all you need to help your students have a blast as they attempt to deliver the pig’s Valentine’s Day cards while avoiding the big bad wolf. 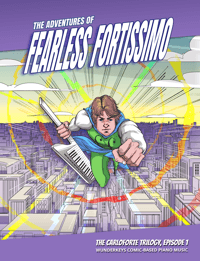 While the above two activities are fun and silly, this piano piece is soft and beautiful. With a creative twist on the tune “A Tisket A Tasket” we’ve taken a familiar children’s song and turned it into a ballad fitting of the atmosphere of love that surrounds Valentine’s Day. 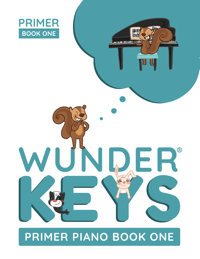 Have you had a chance to check out WunderKeys Elementary Piano Level 1A? 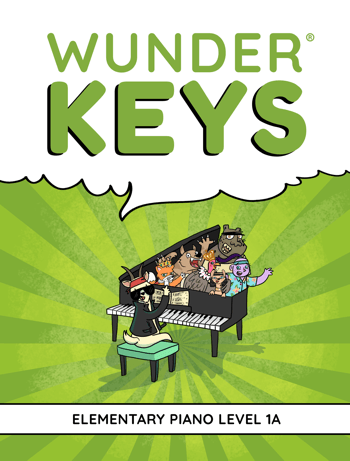 Released in early January, kids around the world are already falling in love with our newest method book (a follow-up to our WunderKeys Primer Series). 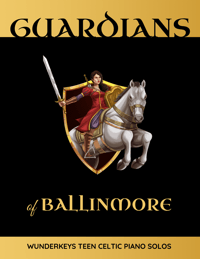 Check it out here on Amazon.